As of now, it appears that the update is available only for users of the Galaxy Note 10.1 in Germany and is an over-the-air (OTA) update of size 300MB. Samsung has recently released the Android 4.1 Jelly Bean update for the Galaxy S III in India. As per a report by a German website All About Samsung, the Galaxy Note 10.1 is also receiving the update. As of now, it appears that the update is available only for users of the Galaxy Note 10.1 in Germany and is an over-the-air (OTA) update of size 300MB. The update to the Galaxy Note 10.1 is Android 4.1 Jelly Bean, and not the recently announced Android 4.2 Jelly Bean. According to a related report by GSMArena, this update improves performance, and adds the S Pen functionality of the Note II (for example, the new Quick commands), Pop Up Play, new Mini Apps, and Paper Artist. In August, Samsung announced the launch of the Galaxy Note 800, also known as the Note 10.1 thereby extending the Galaxy Note category. Samsung claims that the tablet delivers the functionality and precision of pen and paper by combining the S Pen with a 10.1-inch large display. Adobe’s premium creative application, Photoshop Touch is preloaded and optimised for Samsung’s S Pen. 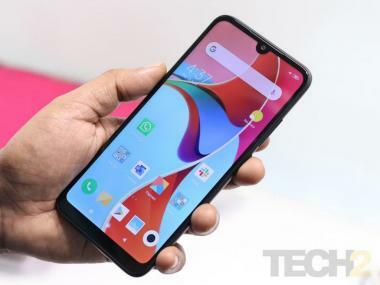 The device also introduced the Multi-screen feature, which allows users to operate two different apps side-by-side, simultaneously, on the same screen. With the Multi-screen feature, users can view web pages and videos, or launch other applications while writing or sketching ideas with the S Pen on the other half of the screen. They do not need to toggle back and forth between apps. Further, users can even capture and crop images from an app on one side, and drag them to an app on the side. Apps supported by Multi-screen are S Note, Internet Browser, Video Player, Email, Gallery, and Polaris Office. The Galaxy Note 800 also offers the Pop up Play feature, first introduced on the Galaxy S III Smartphone. With it, users can playback videos in a floating window that can be overlaid anywhere on the screen, providing a 'picture in picture' experience. New for the Galaxy Note 10.1 is the ability to adjust the size of the video window. In addition, the Galaxy Note 800 aka 10.1 offers a mini apps-tray that can launch a selection of mini-apps on top of other apps that can be freely moved around the screen. These include Alarm, S Note, Music Player, Email, Calculator, and World Clock. The Galaxy Note 10.1 is powered by a 1.4GHz quad-core processor, and 2GB of internal RAM. Samsung claims that multi-tasking, high-standard graphics, and fast performance without any lag are essential features of Galaxy Note 800. The device also includes a 5-megapixel main camera and a 1.9-megapixel front-facing camera. The Galaxy Note 10.1 carries over several features first introduced with the hit Galaxy S III smartphone. The Smart Stay feature that was first introduced with the Galaxy S III uses the camera in the Galaxy Note 800 to prevent the device from going into standby mode while it can detect a user in front of the device.